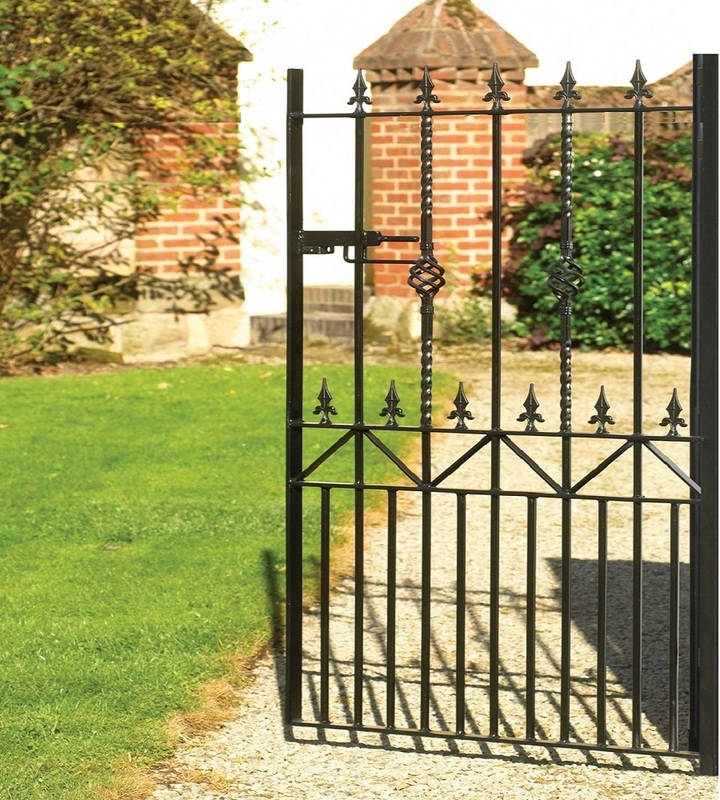 High quality wrought iron style gate suitable for any location. Attractive design add charm and character. 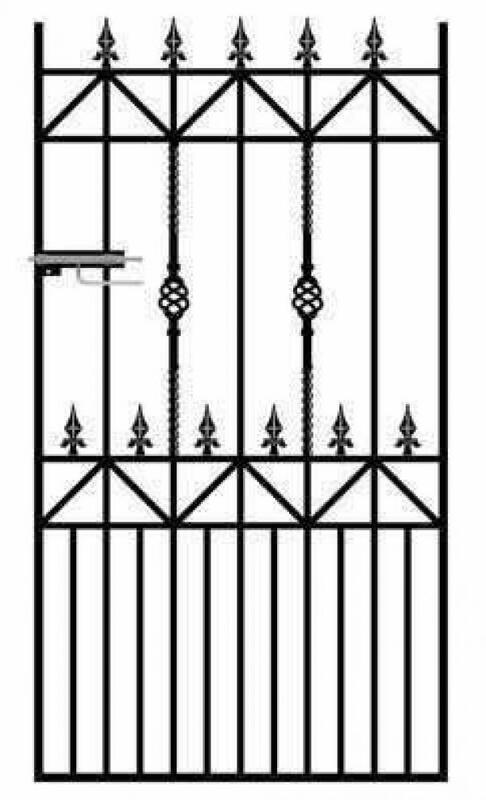 Featuring a number of design elements the Royal Ascot wrought iron style side gate will provide a striking look to any space whilst the high strength components will ensure great levels of security at all times. 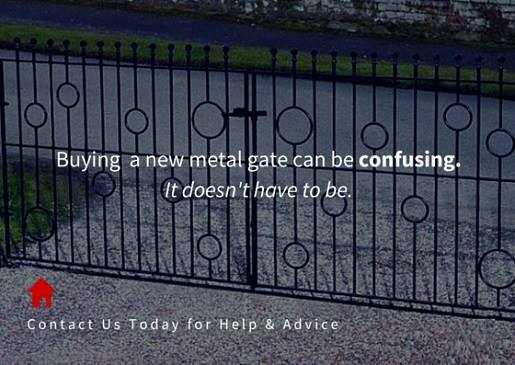 High quality gate design provides improved levels of privacy and security. 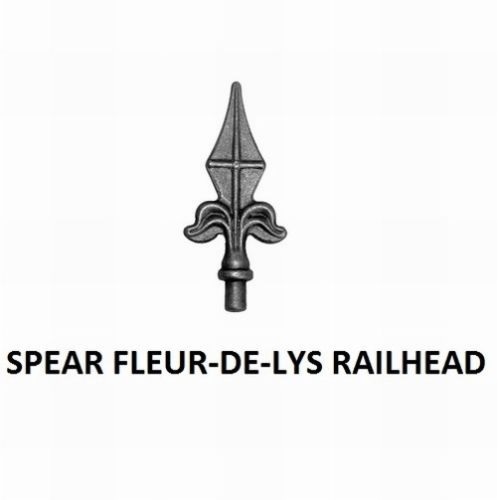 Fleur de lys finials and spiral bars enhance the design. Handmade in the UK using 40mm x 30mm hanging stiles, 40mm x 10mm closing stiles and 16mm solid metal infill bars. Supplied with adjustable hinges and a sliding latch fitting (can be secured using a padlock). Royal Ascot wrought iron style side gates are designed to be right hand hanging only (as viewed from the road side). Gate is supplied in black primer ready to be painted before installation. 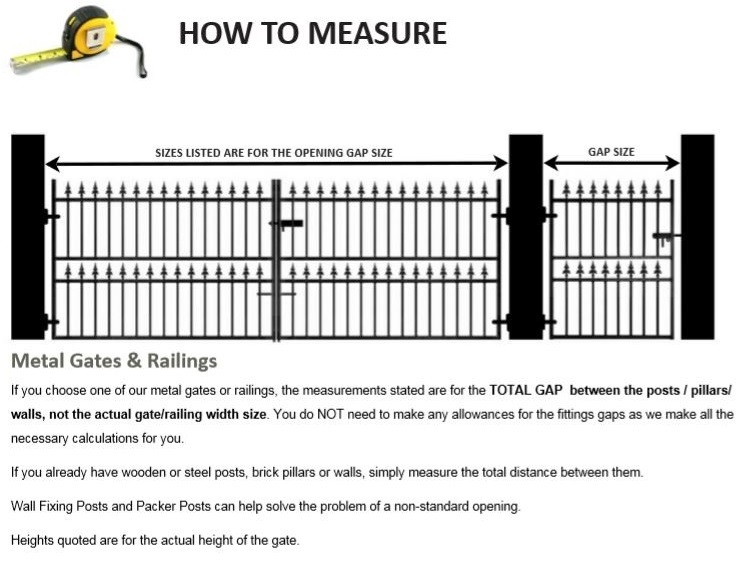 Do you in need assistance choosing the right size gate? Take a look through our FAQ`s, read the measuring guide for assistance with sizes or contact us now for help and advice. 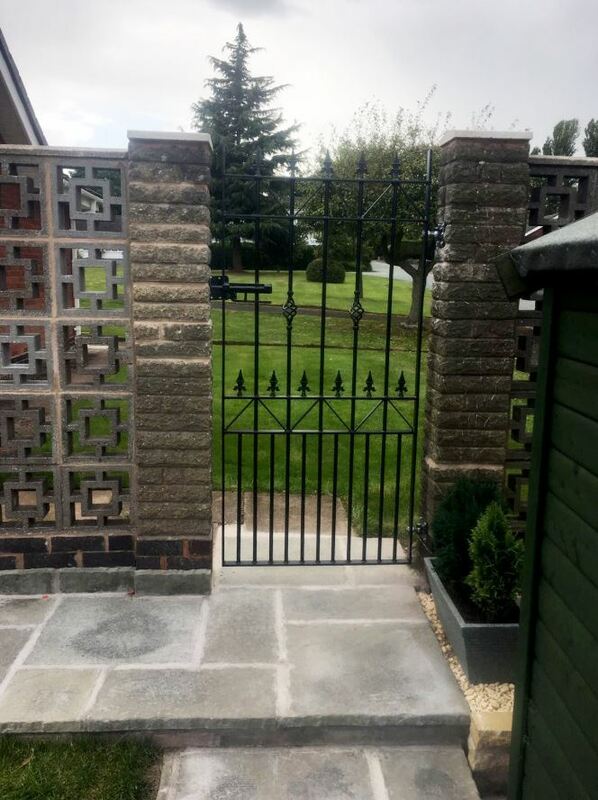 If you would like to upgrade the features on this stunning side gate we have the following accessories and additional items available. To find out more information about the above extras please call now on 0844 804 5577, email sales@gardengatesdirect.co.uk or fill in our enquiry form.